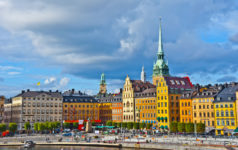 The Canadian advisory firm Setter Capital has cited its 40 most sought-after European leveraged buyout funds on the secondaries market. CVC Europe, Apax Europe and Advent Global Private Equity topped the list of the most sought-after LBO funds in the European secondary market, according to a statement from Canadian advisory firm Setter Capital. According to Setter’s liquidity ratings, based on the number of followers on its SecondaryLink platform and the strength of prime buyers for a secondary of a fund, the demand for the three firms was rated ‘excellent’. Overall, 45 percent of the funds were rated as ‘excellent’. Setter has previously released lists of its most in-demand US buyout funds; US mid-market LBO funds; and Asian private equity funds on the secondaries market, available on Secondaries Investor.